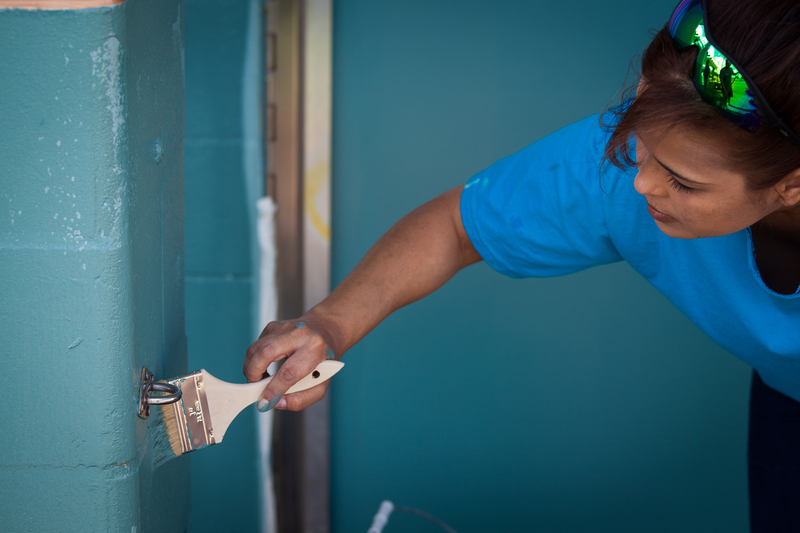 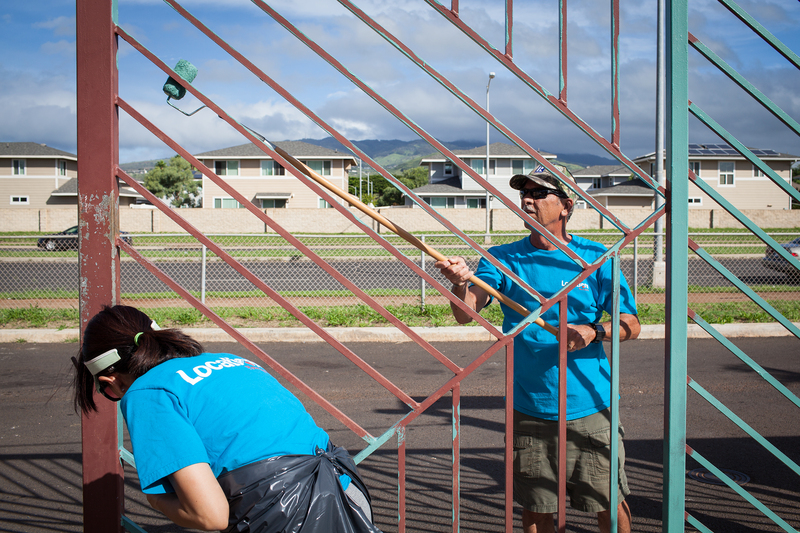 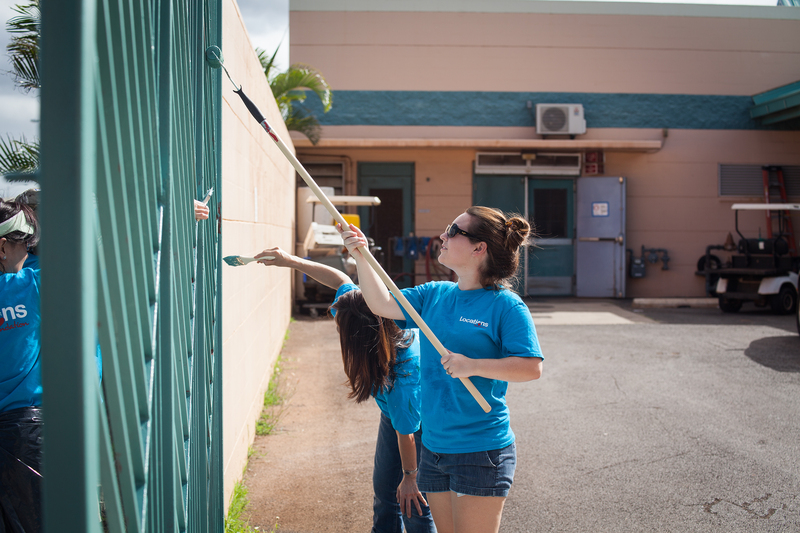 Every year for the past several years, employees of the Locations Foundation volunteer to spruce up an Oahu school. 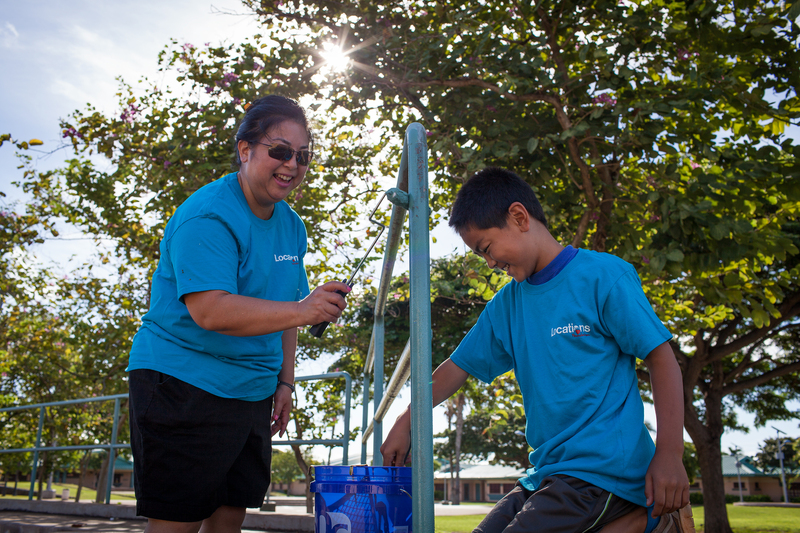 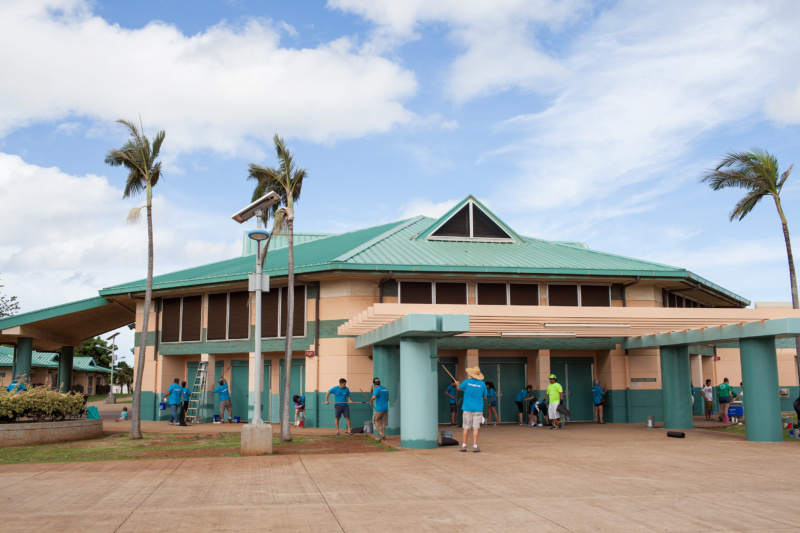 This year, Kapolei Middle School was the lucky school. 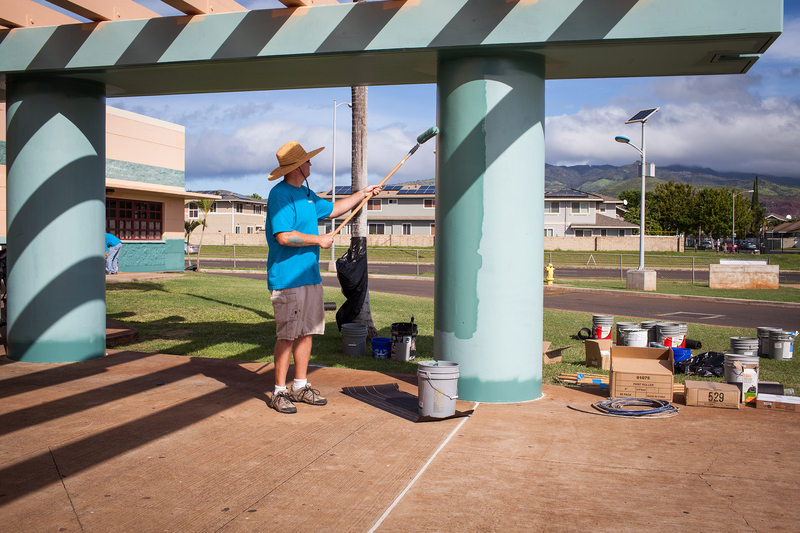 About 40 volunteers, including Locations family members, showed up early on the morning of Saturday, September 27, 2016, to give the cafeteria a fresh coat of paint. 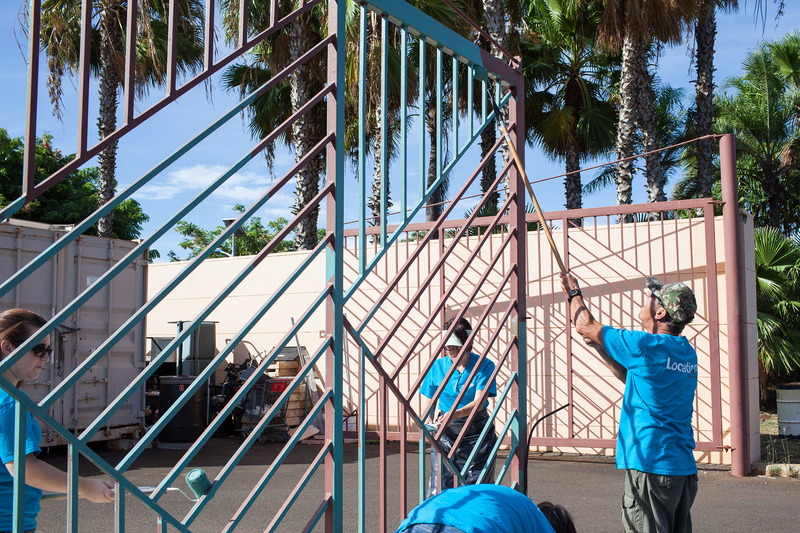 The work would have cost the state Dept. 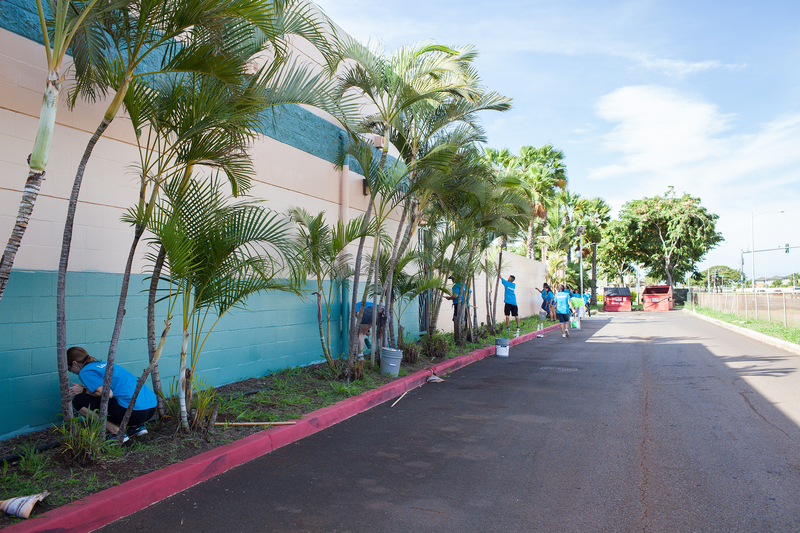 of Education $26,000.00. 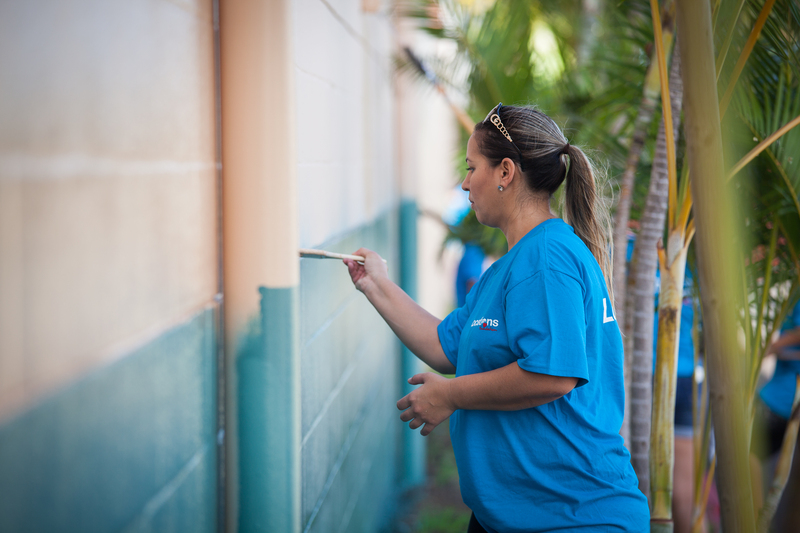 But with volunteer labor, the cost savings to the state was approximately $17,300.00, and the task, with instructional support from painters of Jade Painting, was completed in a couple of hours. 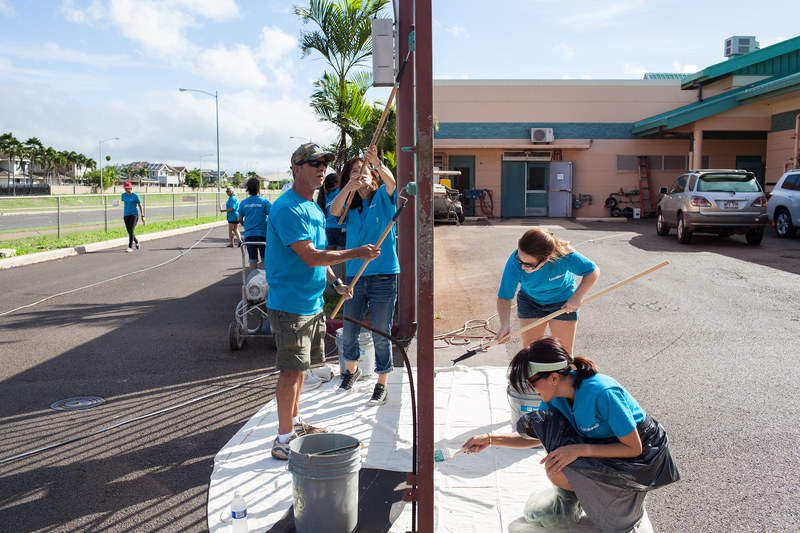 Just in time to enjoy a freshly grilled lunch of hot dogs and hamburgers provided by School Principal Bruce Naguwa and his staff. 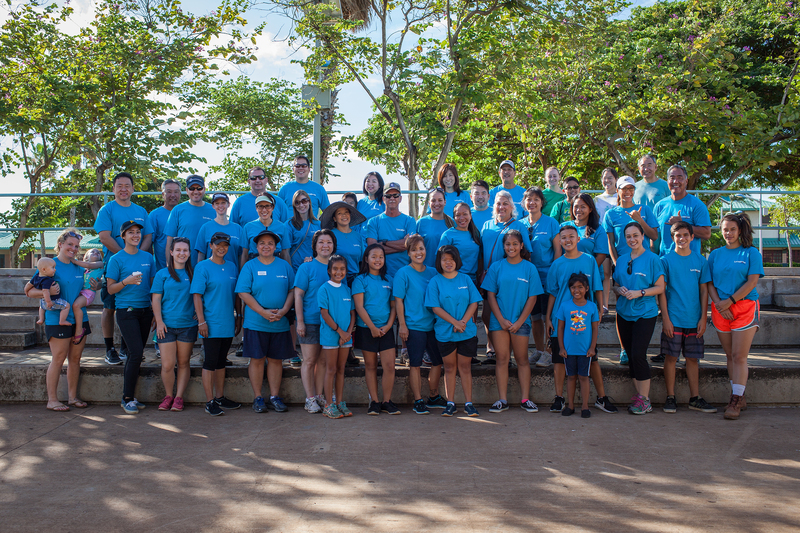 Heartfelt thanks to Jay Miller of the Locations Foundation for assembling the stellar crew of volunteers and for supporting Hawaii 3R’s with a generous contribution of $5,000.00. 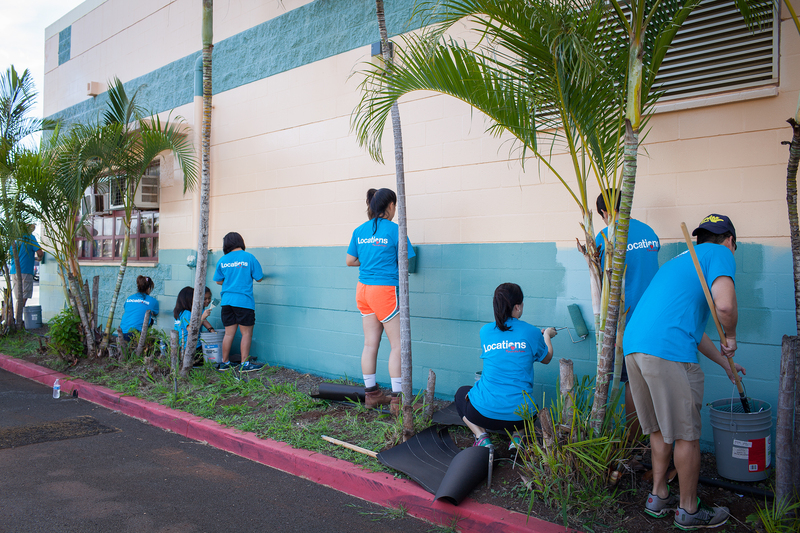 We look forward to next year’s project with the Locations ‘ohana.